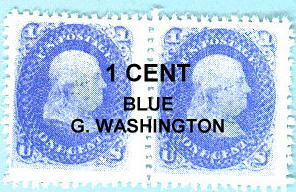 Historical information about dates of issue and postal rate changes during the war appears underneath the pictures of the reproduction stamps. Suggestions in using the stamp reproductions to reflect the period of the war you are portraying is presented at the bottom of the page. 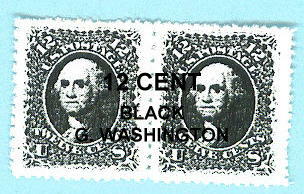 e.c.d: Nov.27, '61 Reproduction US stamps are perforated like originals. All are marked "copy". Postage rates (as near as I can figure out): March 1855, under 3000 mi. prepaid is 3 cents, while over 3000 mi. is 10 cents. A letter or paper conveyed in whole or part by sea, under 2500 mi, 10 cents, and over 2500 mi, 20 cents. Drop or local letters, circulars and newspapers, 1 cent. Heavier letters required additional postage. On July 1, 1863 rates are changed to 3 cents each half ounce regardless of distance, except 10 cents per half ounce to states and territories on the Pacific Coast. 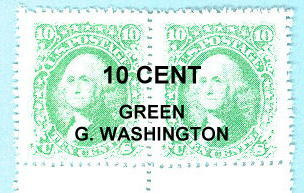 Larger denomination stamps are used on foreign mail (e.g. 24 cents to Britain, 30 cents to Germany), and for paying for heavier packages. 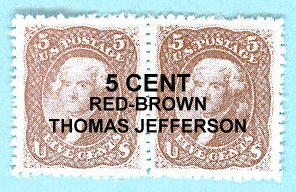 Due to the war, the pre-war stamp designs of 1857 were demonetized between Aug.61 and Jan.62, with orders to no longer redeem them in early 63. 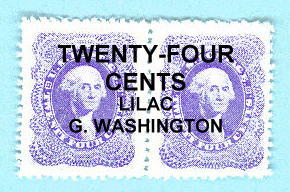 1857 issue stamps used late war were stamped: "OLD STAMPS - NOT RECOGNIZED". "Earliest Cancellation Date" (e.c.d.) 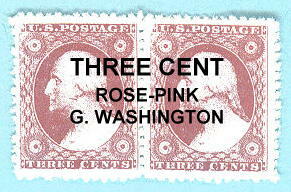 is noted underneath each war issue stamp (information is from Scott's Stamp Catalog 2000). 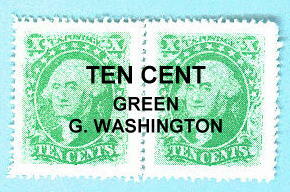 e.c.d: June 1,'63 CS stamps are imperforate like originals and have to be cut apart for use. The US government suspended operations in seceded states on May 31, 1861. US 1857 stamps were not valid in the South after June 1, 1861 by Confederate regulations. 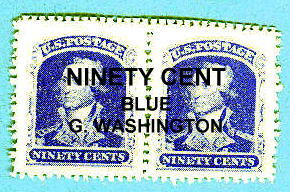 Shortages of printed stamps and the gap between assuming control and issuing official stamps led to Postmasters issuing Provisionals (Emergency Postage marks and stamps). The Confederate postage rate was 5 cents (10 cents for a letter going over 500 miles) from June 1, 1861 until July 1, 1862 when it was changed to 10 cents per letter. 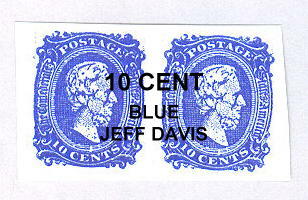 Two cent stamps were used to prepay drop letters and circular rates as well as in strips of five. 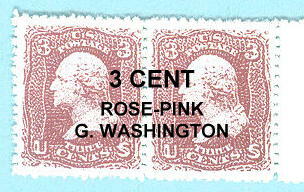 Cancellation suggestions: Early War letters can use US 1857 stamps, provisionals, or simply "Paid 3 cents/ 5 cents" depending on when mailed. 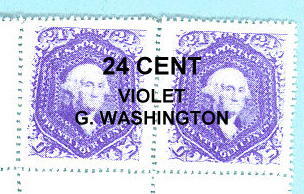 Letters using CS stamps should be dated after the earliest know cancellation date of that stamp. Its obvious that letters and stamps go together. 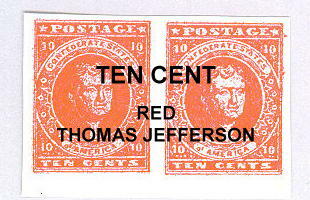 Having a stamp on a letter adds to the impression in a display or a mail call. Soldiers and family members used stamps to mail the letters back and forth. There was no free "Soldier's Letter". Letters from soldiers sent without postage had to be paid for by those receiving the letter. Notations of "soldier's letter" are seen, but should not be interpreted as indicating "free". Letters without postage are examples of hand carried letters. Soldiers going on furlough, family & friends visiting camp, would be asked to carry letters with them. My point? It is accurate to do a mail call without stamps on the letters by having someone portray a soldier returning from a furlough. 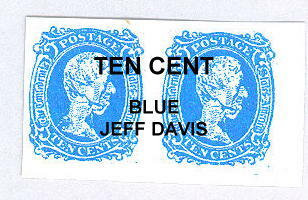 But its more fun to use the stamps to increase the perception that the letters are real. 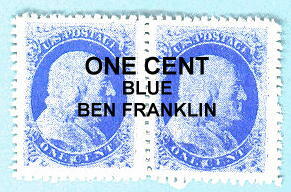 As you can see above, what stamps would be used on the letters would change over time. 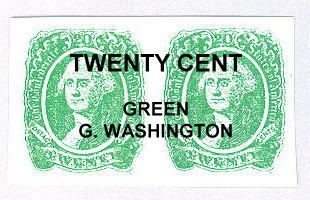 The US 1857 designs would appear on early war letters for both US and CS. 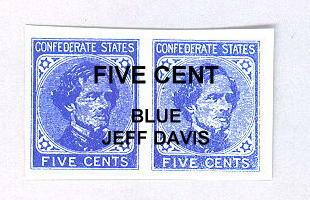 Confederate stamps did not come to be used until Oct 1861. So letters sent between June 1 and late fall would need either local postmaster provisional postage or be stamped "paid 5" etc. 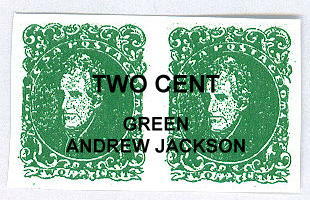 Once confederate stamps become available, then the rate change needs to be portrayed if its after July 1, '62, taking into account when the particular stamp you are using became available for use (note the e.c.d. listing). 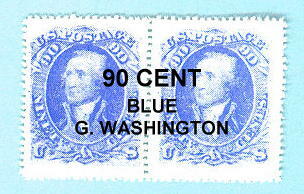 On the Union side, note that 1861 issue stamps did not come into use until fall '61, so using an 1861 three cent G. Washington on a summer letter from '61 would be incorrect. 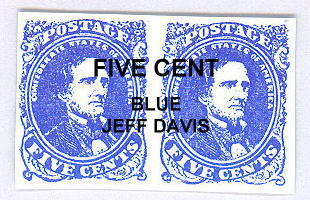 There is overlap of the 1857 and 1861 designs, but should not be extended too much into 1862. 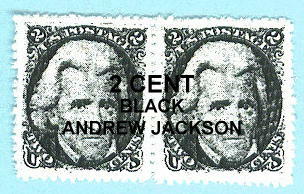 Also note that the two cent Black Jackson stamp is a mid 1863 issue. All this makes for an interesting display of letters when you do a living history event or school event. 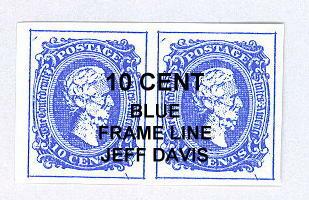 People enjoy seeing the variety that existed and are surprised that a US stamp would be on a letter to a confederate soldier. I put a few stamps in with each envelope/stationery set at random. If you are planning on using the stationery to portray a particular period of the war, let me know and I can adjust them. Early war, Mid war, and Late war would give me a time frame. 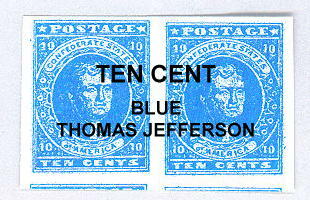 As for the larger denomination stamps, remember that postage stamps were used as currency during the war. So having a few of the larger denomination stamps would not be inappropriate. One other note. I have reproduced some of the provisionals from various Southern states. So let me know if that might help you out with your impression. 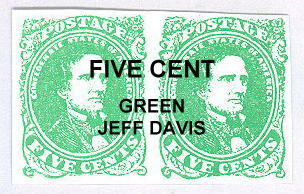 If you would want to buy just a group of stamps, let me know and I'll figure out something that is agreeable between us. 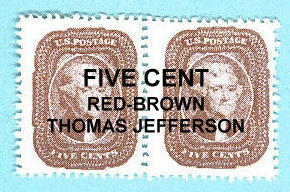 If you are a stamp collector, you may not be impressed with color match of the reproductions to the originals. 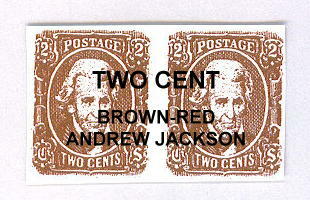 I did color match the US Three/ 3cent stamps reasonably close. But the rest are run in the general color of blue, green etc. I'm not trying to produce frauds, just imitations that look close, but won't fool an experienced collector.